By Bob Kodrzycki, Ph.D., Principal Encompass Biotech LLC and Doug Rivers, Ph.D., Member, Lee Enterprises Consulting Inc. The advanced bioeconomy is a hot topic these days for technology developers and investors alike. The bioecomony itself is not new; humans have been using biogenic resources and processes since the beginning of time. It’s the use of the most recent improvements that put the “advanced” in the advanced bioeconomy. So, by definition, the advanced bioeconomy relies on emerging technology. While some may see the wealth and excitement of opportunity in emerging technology, others may be put off by the unproven nature and the high risk. Obviously, all technologies we use today were emerging at some time so the idea of developing and investing in emerging, high risk technologies can be accomplished. It’s just a matter of how to approach the process. What’s So Scary About Emerging Technology? All or part of the process may be novel and thus there may be little basis for comparison to proven technology to establish likelihood of success. The product may be novel and not have an established market presence. The founders are often the inventors of the technology. Engineers or scientists who may have had little practical experience in business development and/or commercialization. Many investors use checklists to evaluate the “readiness level” of a technology or investment opportunity. See Dave Humbird’s article earlier in this series: Expanded Technology Readiness Level (TRL) Definitions for the Bioeconomy for an overview of TRLs. These Technology Readiness Levels (TRLs) or Investment Readiness Levels (IRLs) are specific to each opportunity but can be summarized, in part, by answering the following questions. Is the product idea appropriate for the current market? What is the competitive landscape for the product? Is the scientific basis understood for the product? Is the product effective under commercial conditions? Can the product be produced at scale? Can the team can pull it off? Often the modern bioeconomy involves processes that are more science than engineering based, and it is the reliance on production using a biological organism that increases the risk factors. Biology usually means high variability whereas engineering implies high reliability and tight tolerances. The emerging discipline of synthetic biology is, in part, an attempt to make the use of biological organisms more reliable and predictable in ever more complex processes by creating organisms with high reliability and tight tolerances. So, our task is to make biology more like engineering…or at least to gain an understanding of what is needed to overcome the inherent variability in biological systems, so they can be treated like engineering projects. As outlined in Figure 1, biorefineries convert feedstock into products. The “bio” in biorefinery can either be the biological feedstock or the biological process used to make the product, or both. Consider an ethanol biorefinery: Corn is grown, corn starch is sent to the biorefinery where microbial fermentation is used to make ethanol. If corn cannot be produced, then there will be no ethanol. An important part of the bioeconomy is the sustainable production of feedstocks and products. Corn and other feedstocks can be more sustainably grown by increasing yield per acre while using less water, fertilizer and agricultural chemicals. Let’s consider an emerging technology in feedstock production: the use of biostimulants. Biostimulants are substances derived from microbes that are naturally associated with plants, either on the surface, inside the plant bodies or in the soil. Biostimulants are entering the market at a rapid pace and are expected to establish a dominant position over traditional agricultural chemicals over the coming decades because of their non-toxic, environmentally friendly traits. Biostimulants can also increase yields by double-digits while improving crop quality and increasing disease resistance. But there are a few things to consider before investing. While a number of well-characterized biostimulants are commercially available, there are still many products on the market without compelling performance data. Such products suffer from low confidence among growers (and investors) and can be difficult, if not impossible, to patent and protect in the competitive market. Fermentation is the de facto standard for production of biostimulants but the ability to commercially produce a novel biostimulant cannot be assumed. High-efficiency fermentation is a complex process requiring experimental development. Active ingredients may require purification, stabilization to ensure shelf life, and must be compatible with standard farm equipment for field delivery. We see from the above example; several situations signal high risk for investors and thus require a high degree of attention from the technologist developing the technology. Let’s address some of these high-risk areas individually. Market pull, not technology push. A clear benefit to the market that fills an established demand is a much easier path forward than convincing customers that they have a problem…and that only your product can solve it. Also consider that adoption of the new technology should solve problems, not create new ones. Product fills a demonstrated need in the market and adds value. Implementation is compatible with current standards and practices. Market sector is quantified, and the addressable market is reasonable. For many new technologies, biostimulants included, there may be a history of products that over-promised and under-delivered. The proactive solution in this case is data, data and more data: Proof not promises. Anything “bio” requires repeated testing at multiple locations for several growing seasons to establish market trust. Mode-of-action needs to be defined for biostimulants for several reasons: customer acceptance, derivative products and patenting strategy. Growers need to know the mode-of-action to insure compatibility with other agents they might apply to a crop. Knowing the particular metabolic pathway being affected adds to confidence in the product and may lead to development of additional, related products. Patenting is also dependent on mode-of-action. Knowing where the biostimulant acts opens the door to an effective strategy for patent protection and drafting accurate claims not easily outmaneuvered by competing products. Don’t overlook the importance of freedom-to-operate. (See upcoming article in this series, Intellectual Property for Bioeconomy Project Development, by Dr. Terry Mazanec and Justin Krieger, Esq). It is best to know where and how your biostimulant acts to ensure that it isnÕt already under intellectual property protection by a competitor. Is the technology consistent with prevailing science? Are the benefits consistent and quantifiable? Is the field-testing data available and verifiable by a third party? Is the patent position clear and verified by an intellectual property professional? Will biostimulant production scale to commercial levels? The road to successful commercialization is littered with failures to scale. After identifying an effective product in the “test tube” stage, it seems simple to just grow more. But remember that biology entails variation and large-scale growth of microbes in fermentation is a biological process that not only relies on science and engineering expertise, but art as well. A preliminary techno-economic assessment (TEA) should be performed on the potential commercial process and product under development. It gives a reality check and helps identify targets for regular stage gate reviews. Is the product based on a whole cell, cell extract, or extracellular material? Do increased scale fermentations maintain optimum production conditions? Does the quantity/quality of active molecules meet production/market specifications? Because of the importance of fermentation scale-up to success, early phases of R&D need to keep commercial production methods in mind. Candidate microbes that are not compatible with downstream methods or economic targets should be abandoned early. Are there cost-limiting medium components? Do any medium components have a negative impact on downstream processing? Once commercially available medium sources are identified that satisfy the nutritional requirements of the organism, the separation needs of the final product, the allowable cost of operations, the process of scaling the fermentation from shake flasks (up to about 2 liters) to bench fermenters (tens of liters) to commercial scale (hundred to thousands of liters) begins. 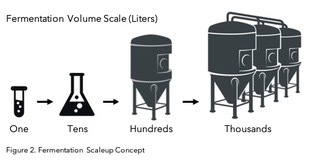 Figure 2 shows the concept of fermentation scale-up volume. During this phase, technical and financial targets must be considered. A minimum target for commercial production is a 1,000-gallon fermenter. Why? Once capital equipment is in place, the cost of labor, not materials and equipment, is the single largest cost of commercial development. If capital equipment and facilities are not already in place, consider a comprehensive contract fermentation facility with proven experience both upstream and downstream from fermentation. The right contract organization can save you time, money, and possibly provide insights into process improvements. What key process parameters must be continuously monitored? Is the organism sensitive to shear forces? Is an alternative type of reactor is needed? Is the product quantity and quality acceptable? What type fermentation process,batch, fed-batch, or continuous, is most suitable? Fermentation processes produce a very dilute product in an aqueous environment, thus downstream processing (DSP) can be both a technical and financial challenge. Factors such as product purity, variability and shelf life are important to ensure that an effective product will be delivered to the consumer. What are the product purity requirements? What is the most cost-effective separation method? Does the product need to be dried? Does the product require a stabilizer? Are standard operating procedures (SOPs) effective or will DSP methods need to be developed? What level of staff formal education, training, and relevant experience are required? Winning requires a great team. Science-based product development is fraught with risk and uncertainty for both investors and the technologists. Science is about discovery and invention, which in the business world requires bravery and ingenuity. Variation is high at times and requires that test procedures be designed with variability in mind. Given these realities, great leadership is a critical factor. It takes a team that understands the details of both the science the business of the product/process under development. Are the critical C-suite Directors and Managers on board? Does the existing management team work and communicate well together? Does the team have the proper background and experience to be successful? What are the gaps and how will they be filled? The intended target customer, farmers in this case, welcome new technologies but also require a high degree of confidence before commitment. Most want to be the second or third adopter after seeing proof the technology works in a commercial setting; therefore, first adopters are critical to product success. In addition to first adopters, there must be an effective distribution and marketing plan to compete in the marketplace. Are first adopters, farmers in this case, part of the team? Are these first adopters influential among their peers and have a history of successfully evaluating new technologies? Is the distribution and marketing path clear with critical relationships in place or identified? Development and commercialization of emerging technologies will always be a challenge. To improve the chance for success, it is important that technology developers not only understand their own technical areas of expertise, but also understand what investors need to know about the science and engineering of the technology and how they work together to achieve success. Developers also need to be aware of how investors evaluate technologies as new commercial opportunities. Good science and engineering alone are rarely good enough to meet the demands of the commercial marketplace. A deep understanding of the specific target market and distribution channels are critical to success. Commercializing emerging technology, by its very nature, is risky business. De-risking the technology development and the investment should be approached by adopting a policy of working from a position of knowledge. Third party experts can go a long way in bridging knowledge gaps at all stages of your emerging technology projects. 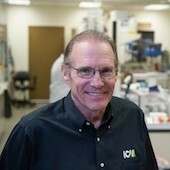 Bob Kodrzycki, Ph.D. is the Principal and Owner of Encompass Biotech LLC, a consultancy serving BioEconomy investors and companies in AgBiotech, Synthetic Biology, Genomic Technologies and Renewable Products. 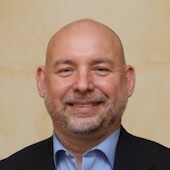 Doug Rivers, Ph.D. is a member of Lee Enterprises Consulting Inc., the world’s premier bioeconomy consulting group, with more than 100 consultants and experts worldwide who collaborate on interdisciplinary projects, including the types discussed in this article. The opinions expressed herein are those of the authors, and do not necessarily express the views of Lee Enterprises Consulting.